Home > Products > Scooter Motorcycle Body Part > Vacuum Tap Valve Petcock > TYPHOON Scooter Fuel Switch Assy. 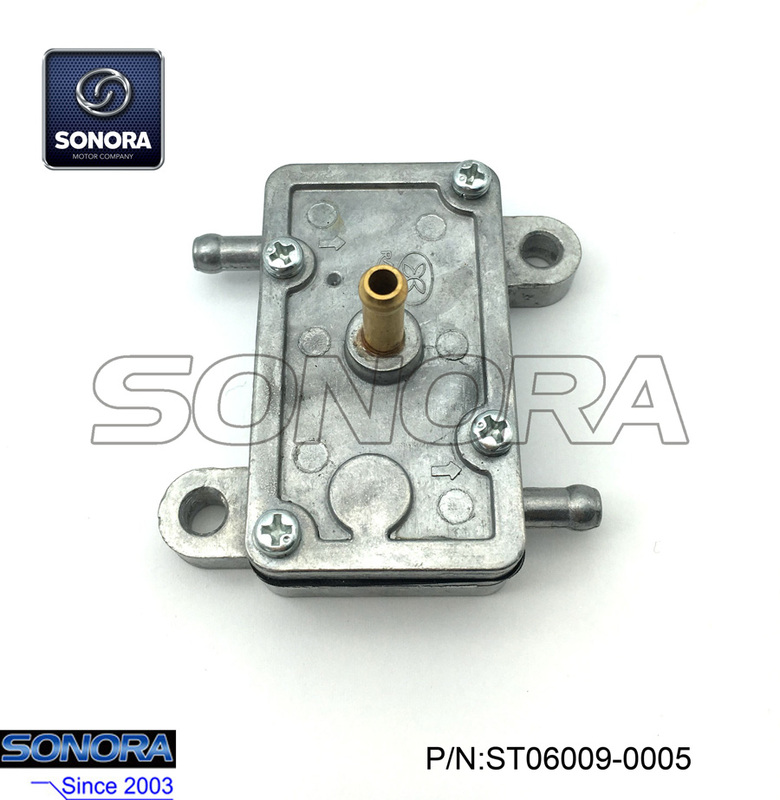 This fuel switch fits typhoon scooter, aerox,etc.Fuel switch, also called Fuel Valve, Petcock, Tap Valve.Different models of scooter, the fuel switch applied may be different, please send us photos on the fuel switch you require, then we can work better for you. Looking for ideal TYPHOON Scooter Fuel Switch Manufacturer & supplier ? We have a wide selection at great prices to help you get creative. All the TYPHOON Scooter Fuel Petcock are quality guaranteed. We are China Origin Factory of TYPHOON Scooter Fuel Valve. If you have any question, please feel free to contact us.